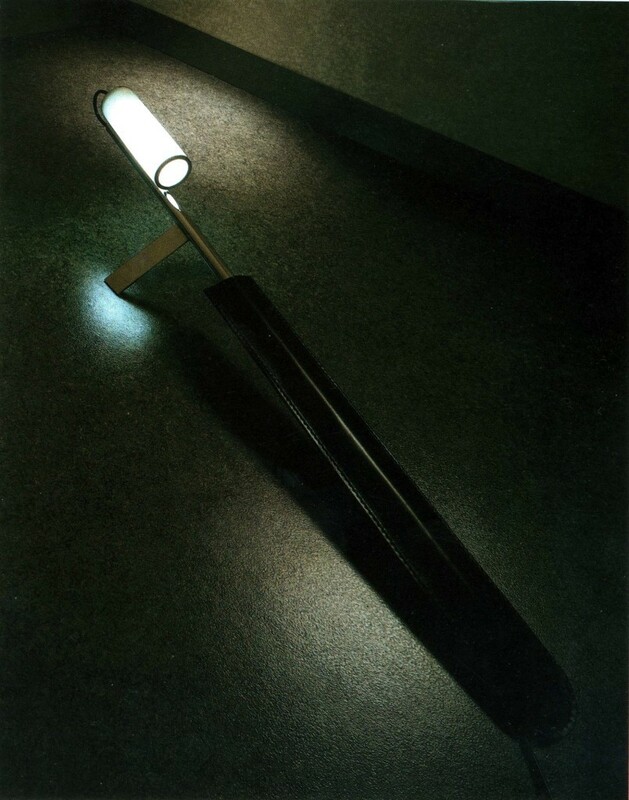 The exhibition Luci-Memphis in 1987 (by B.Radice) presented lamps by some designers belonging to the historical Memphis group and a number of new ones. Asta and Bastone were my two projects. Asta is formed by a long steel tube with a plastic cylinder diffuser at the top. The chrome tube is only fixed to the ceiling with a wire so that to allow, depending on the length of the wire, several positions. This lamps reminds me of a row, or perhaps a future sea tool, suspended and floating.